You will love the way the sweet passion fruit tea and the tart lemonade with a combine with a hint of vanilla for a deliciously refreshing beverage. Who doesn’t love an Arnold Palmer? The combination of tea and lemonade is so delicious. But what if you want to make it even better? 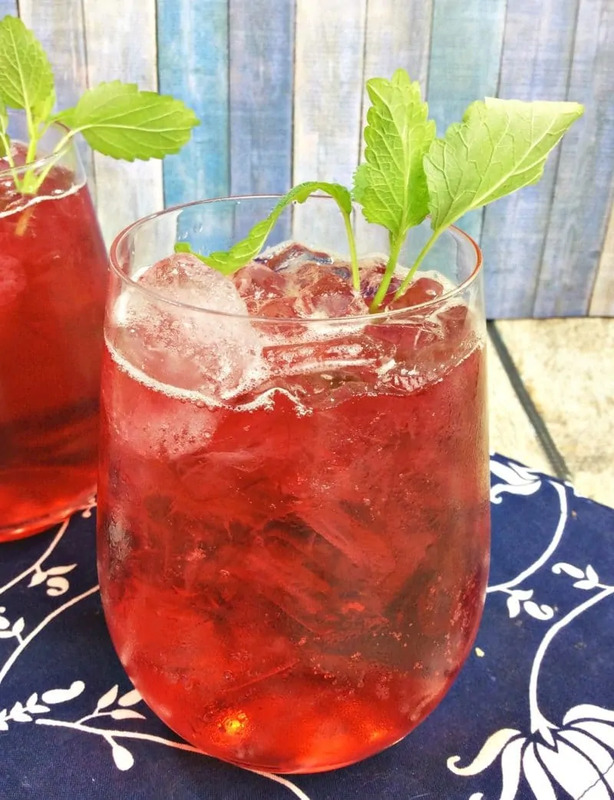 This Iced Passion Fruit Tea Lemonade is so simple to make and sure to become your new favorite. You’ll be wondering why you haven’t tried this flavor combination before. Love fruity lemonade recipes? Don't miss our tasty peach lemonade recipe made with fresh peaches! This passion fruit tea is so easy to make too. 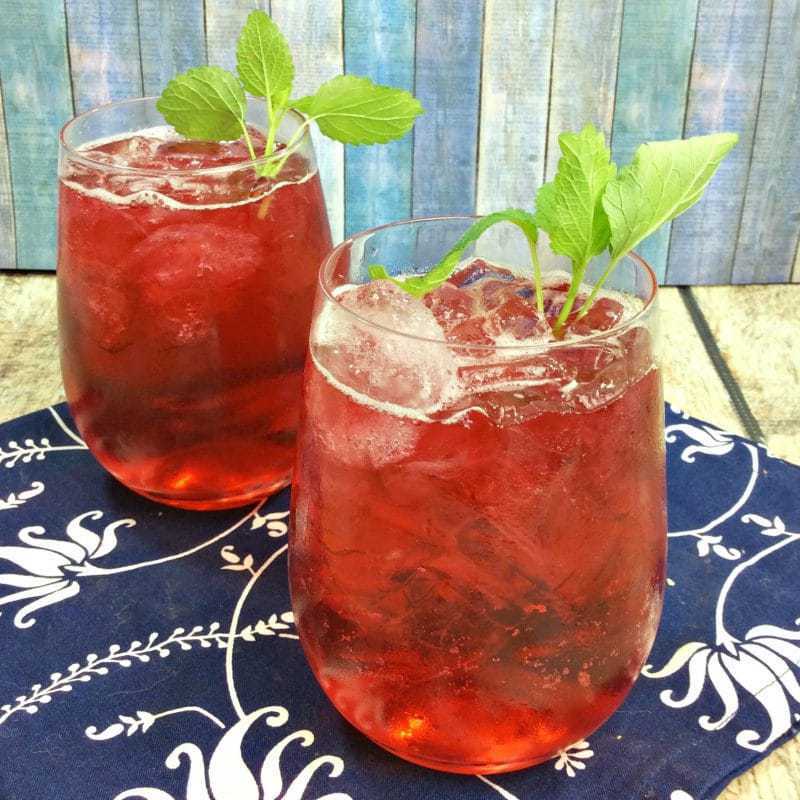 If you can boil water, you can make this delicious iced passion fruit tea lemonade. The most difficult part is waiting the hour for it to cool in the refrigerator. Also, this iced passion fruit tea makes a great drink to serve during your parties or luncheon as well. While this recipe only makes two servings, making more is easy. All you need to do is double or triple the recipe as needed. It’s so easy that it’s foolproof. Make a large batch for your next get together and see how your friends like it. Chances are it’s going to be a big hit and you’ll be asked to make it over and over again. Tip: If you want to shake things up a bit more, consider using flavored lemonades or adding a bit of fresh herbs when you steep the tea. 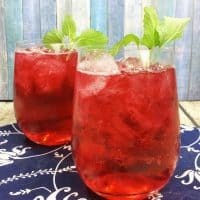 Iced Passion Fruit Tea Lemonade is so simple to make, it will leave you wondering why you haven't made this fruity iced tea yourself at home before. 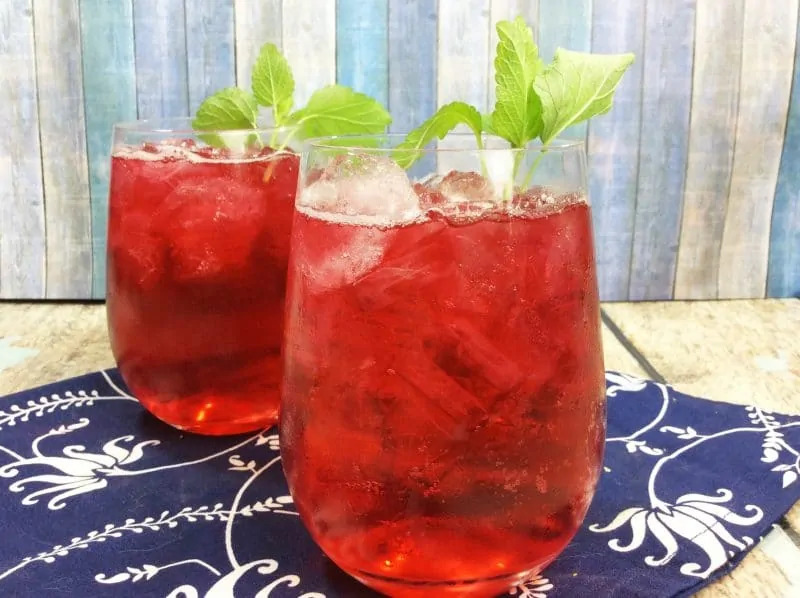 You will love the way that the sweet passion tea and the tart lemonade with a combine with a hint of vanilla for a deliciously refreshing beverage. Remove water from heat add tea bags. Allow to steep for 10 minutes, then remove tea bags. Add sugar and vanilla, stirring well to combine. Pour into a pitcher and refrigerate for at least 1. Add lemonade, stir to combine. Add ice to pitcher prior to serving, or simply serve over ice. That looks delicious! I never think to use flavored teas to make iced tea. These drinks look fantastic. I drink tea every day in some form and I can’t wait to make this. That sounds absolutely delicious. I do love passion fruit. Thanks so much for the recipe. Shared! This sounds so light and refreshing….perfect for a hot summer day! This is the perfect summer drink! 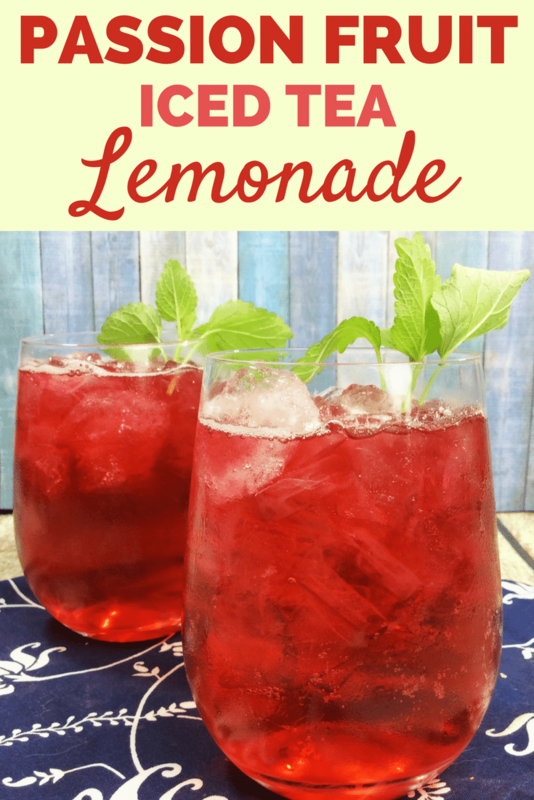 I love a nice cold glass of iced tea or lemonade during the hot months here in Arizona, and this would definitely be a good one to try! This sounds so refreshing and perfect for summer! Will be trying this for sure!